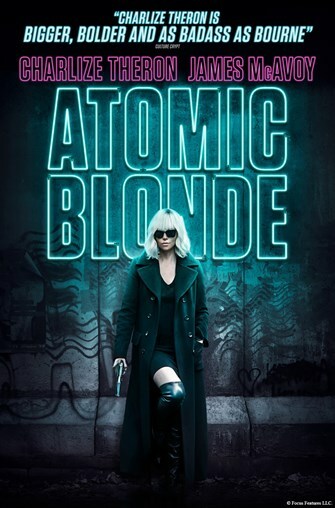 Atomic Blonde (R) 1h. 55min. Oscar® winner Charlize Theron explodes into summer in Atomic Blonde, a breakneck action-thriller that follows MI6’s most lethal assassin through a ticking time bomb of a city simmering with revolution and double-crossing hives of traitors. A blistering blend of sleek action, gritty sexuality and dazzling style, Atomic Blonde is directed by David Leitch (John Wick, upcoming Deadpool 2).